The Cisco Systems 2018 annual meeting is December 12th. To enhance long-term shareholder value, vote AGAINST directors Arway, Desroches, Grauer and Thiry, as well as pay and the auditor. Vote FOR shareholder proposals to split chair and CEO and to Deduct Impact of Stock Buybacks from Executive Pay. CorpGov.net is an independent source for information about shareholder rights by real Main Street Investors, not sock puppets. 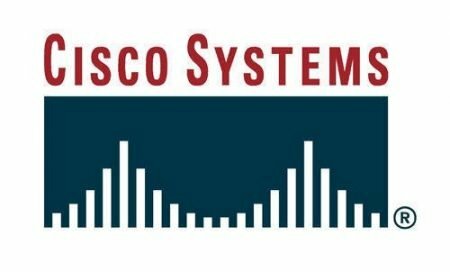 Cisco Systems, Inc. (CSCO) designs, manufactures, and sells Internet Protocol based networking and other products related to the communications and information technology industry worldwide. Most shareholders do not vote. Reading through 80+ pages of the proxy takes too much time. Your vote will make only a small difference but could be crucial. Below, how I voted and why. From the Yahoo Finance profile: Cisco Systems, Inc.’s ISS Governance QualityScore as of November 1, 2018 is 1. The pillar scores are Audit: 1; Board: 7; Shareholder Rights: 1; Compensation: 1. Vote AGAINST McGeary, Robbins and West. According to Egan-Jones: An Employee Stock Purchase Plan or (ESPP) can be an important tool increasing ownership among company employees. In the US the tax advantages of a qualified plan are compelling. Qualifying for these tax benefits requires shareholder approval of the plan as well as several other structural elements, such as a minimum of 85% of fair market value as a minimum stock price and holding of the stock for a defined period of time. Egan-Jones supports the establishment of such qualified ESPPs unless there is a compelling example of prior abuse or significant reason to expect such abuse in the future. For me, it is not primarily the tax benefits but employee motivation. The research is compelling that employees who have a stake in their company and have open channels of participation are more motivated. Cisco Systems’ Summary Compensation Table shows the highest paid named executive officer (NEO) was Chairman and CEO Charles H. Robbins at $21.3M. I’m using Yahoo! Finance to determine market cap ($203.6B) and I define large-cap as $10B, mid-cap as $2-10B, and small-cap as less than $2B. Cisco Systems is a large-cap company. According to the Equilar Top 25 Executive Compensation Survey 2015, the median CEO compensation at large-cap corporations was $10.3M in 2014, so pay was well over that amount. Cisco Systems shares outperformed the NASDAQ over the most recent one, two, and five year time periods. The ratio of the annual total compensation of the CEO to the median of the annual total compensation of all employees was 160 to 1. Egan-Jones Proxy Services uses a proprietary rating compensation system to measures wealth creation in comparison to other companies. “Good” is their compensation rating for Cisco Systems. They recommend a vote of FOR for the say-on-pay item. I have no reason to believe the auditor engaged in poor accounting practices or has a conflict of interest. Egan-Jones recommends voting against the auditor if they served for seven years. Independence becomes compromised by that time. The Cisco Systems auditor served more than seven years. No other issues appear significant. This proposal from me (James McRitchie) is new, so most proxy advisors and have not incorporated recommendations into their formal proxy voting policies. The proposal addresses the fact that utilizing “earnings per share” (“EPS”) as a factor in determining senior executive pay provides management with an incentive to push for stock buybacks based on their own pay, instead of base on what is good for the company. This proposal seeks to deduct that potential impact from consideration. Proxy Insight reported on Australia’s Local Government Superannuation Scheme. Teachers voted FOR all items, including my shareholder proposal. They voted against pay, auditor an my proposal. In looking up funds on our Shareowner Action Handbook, Domini voted AGAINST directors Robbins and Sanders, as well as pay; FOR all other items, including my innovative proposal on share buybacks. Directors: AGAINST (1E) Roderick C. McGeary, (1F) Charles H. Robbins and (1I) Steven M. West. Looking at SharkRepellent.net for anti-shareholder provisions: No major concerns. Shareholders of Cisco may submit proposals on matters appropriate for shareholder action at meetings of Cisco’s shareholders in accordance with Rule 14a-8 promulgated under the Exchange Act. For such proposals to be included in Cisco’s proxy materials relating to its 2019 Annual Meeting of Shareholders, all applicable requirements of Rule 14a-8 must be satisfied and such proposals must be received by Cisco no later than June 26, 2019. Such proposals should be delivered to Cisco Systems, Inc., Attn: Secretary, 170 West Tasman Drive, San Jose, California 95134-1706 (and we encourage you to send a copy via email to [email protected]), with a copy to Cisco Systems, Inc., Attn: General Counsel at the same address.